I had an opportunity to visit Tallinn for a couple of hours yesterday, and the obvious question was whether there'd be anything underground to visit. 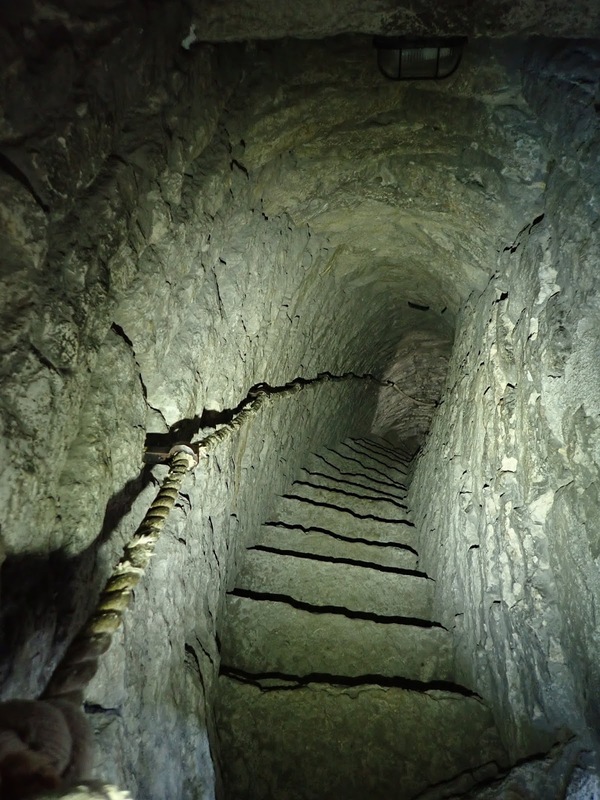 And there is, Kiek in de Kök bastion tunnels. But, they were closed on Monday. 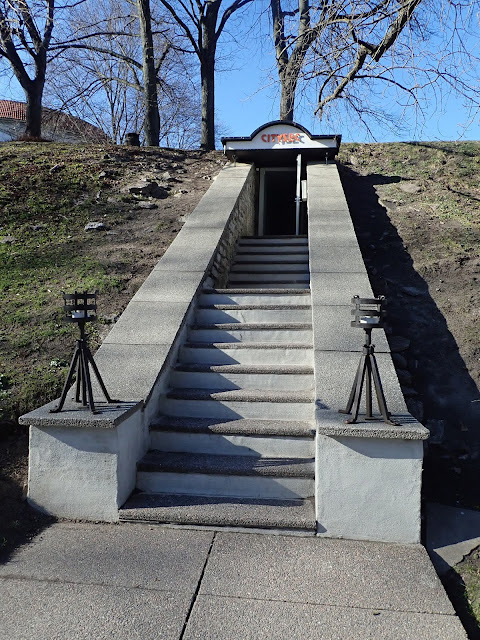 Luckily, however, we run into an old bunker under the Tallinn Meremuuseum. 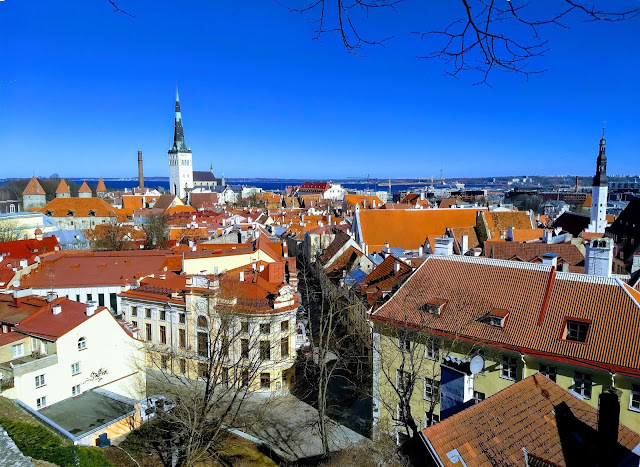 The Meremuuseum is the northernmost tip of the Tallinn old town, a short walk from the harbour. The bunker turned out to be a gun shop, CitySec. 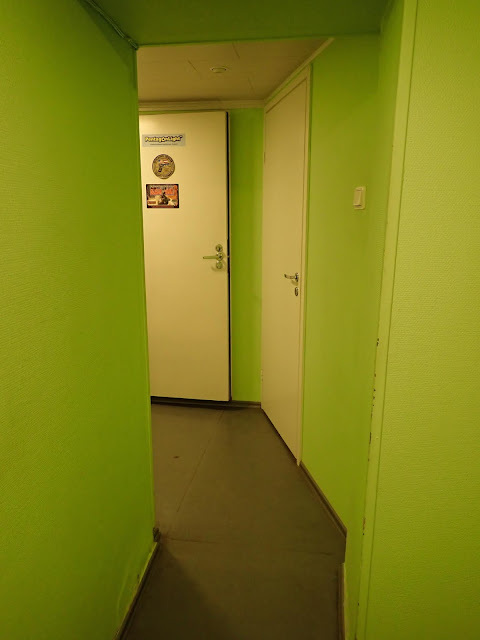 It did feel weird to enter the door and not know what's really inside... a series of turns in a green corridor, until one reaches the main shop room. 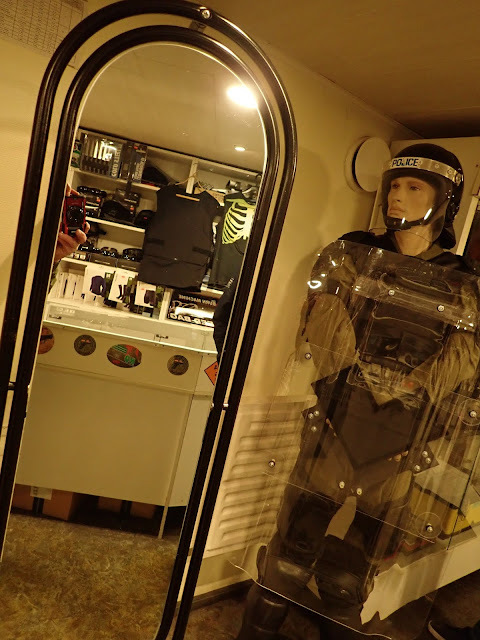 I have to say though, I don't like guns and people who feel like they need to have a mirror in the shop to buy riot control gear or guns have to be... a bit odd. But to each to his own, I guess. 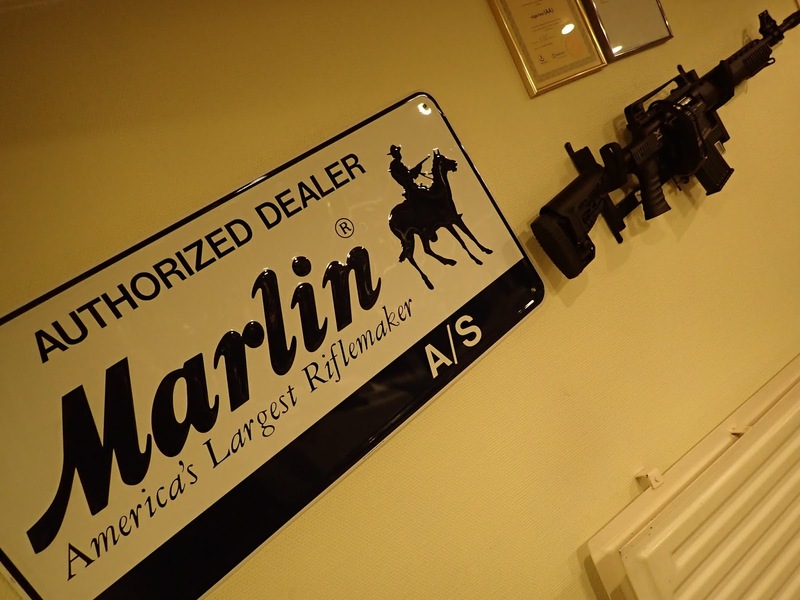 The coordinates of the shop are N 59.4422 E 24.7503. Also, the city walls ("Linnamüür") were open, and quite interesting to visit for only 2€. See above picture for the stairs inside the wall's towers. Visiting the walls is much recommended! 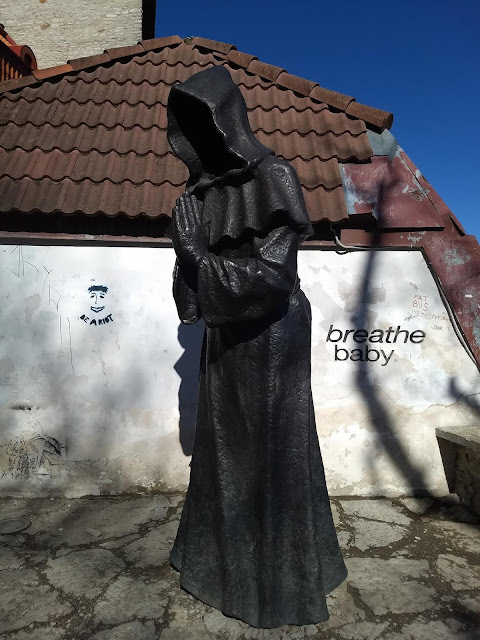 Photos and text (c) 2019 by Jari Arkko. All rights reserved. All my caving and urban exploration articles can be found from planetcaver.net, theurbanexplorer.net and of course blogspot and TGR!